I was very naughty and got everything on my Charlotte Tilbury wishlist last month, but I am not regretting it… (much). Amongst everything, I was most excited to try the Filmstar Bronze & Glow, Face Sculpt and Highlight kit. According to the Charlotte Tilbury website this kit can be used to slim, sculpt, shorten, trim or highlight your features to create a beautiful facial contour. 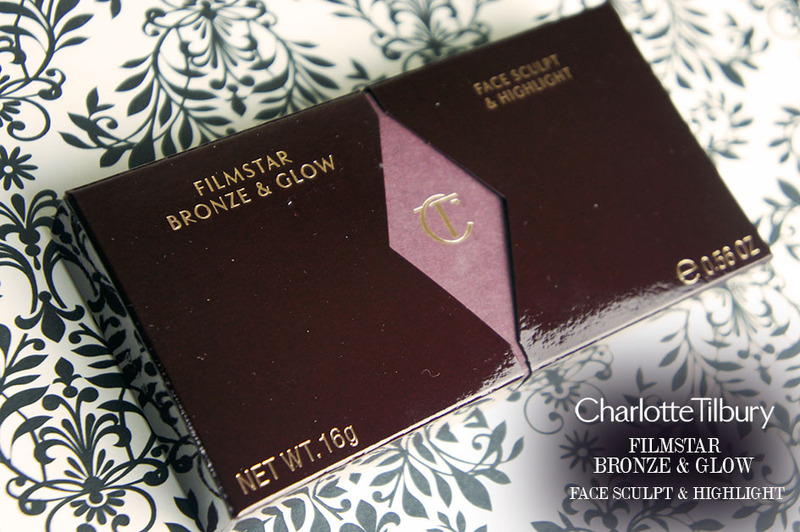 Filmstar Bronze & Glow contains a matte bronzing powder which you use to sculpt and contour. 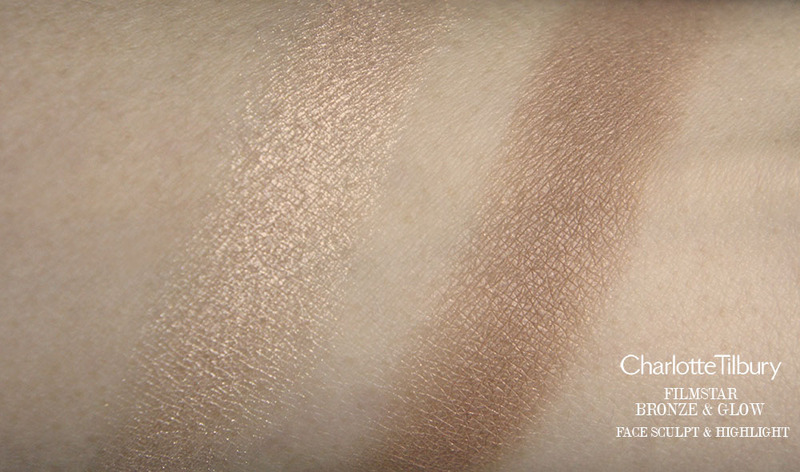 Then on the other side you get the highlighter which leaves the skin looking radiant. The two powders are encased in a stunning rose gold palette that almost makes the hefty £49 price tag less painful.. alright, I said almost. But the truth be told the palette does look beautiful sitting on my dresser. However I am also justifying it with the fact that it’s essentially a multi purpose product, bronzer, contour, face and body sculpt, face and brow highlight, eyeshadow and the list goes on. Also the formula is so silky and easy to blend that it takes away all the fuss and bother of trying to create a seamless finish, that itself is where the money is well spent. I love that the bronzer is essentially a universal shade for all, making less of a headache to find a colour to match my skin tone. The colour is a light to medium bronze and when looked at closely you can see a very subtle golden sheen. Don’t worry it doesn’t leave you looking like a metallic monster, it just gives your complexion a warm and sun kissed look. Depending on how natural or intense you want the look, you can easily build and adjust the colour by blending and layering. In my photos I had applied only one sweep on my face, and you can see just how pigmented the shade is. In my swatch photo I applied 3 layers so you can see just how natural or intense you can go with this kit. I am yet to master the art of contouring as I still find it so hard to figure out exactly where to apply contour or highlight, but even so, I do love the beautiful glow you get just by brushing this along the cheekbones. It instantly lifts my features and gives my skin a warm and healthy look. Luckily for those like me that are particularly clued up on contour and highlight then you need to watch the Filmstar Bronze & Glow video tutorial available on the website where Charlotte Tilbury herself demonstrates how to use the kit. This is what I like most about the brand, the helpful hints, tips, and look inspirations available on site. It really makes shopping experience so much easier and enjoyable. 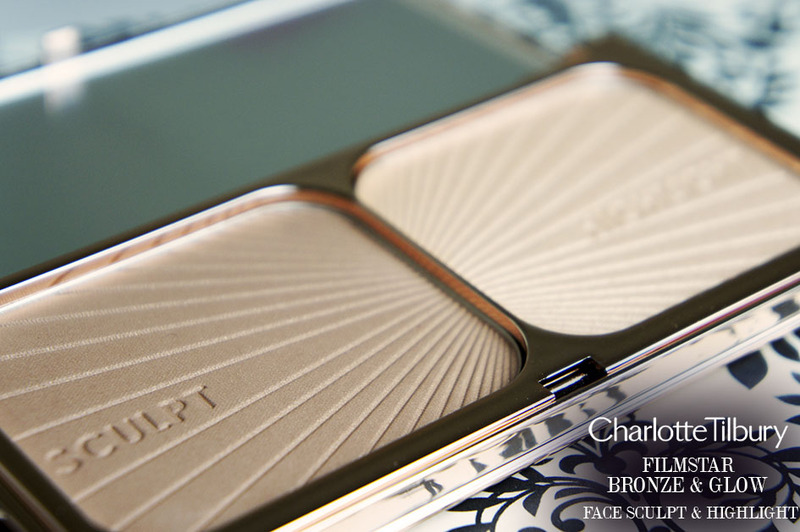 I have quite a few other Charlotte Tilbury makeup to review for you so hopefully will get round that sometime next week. 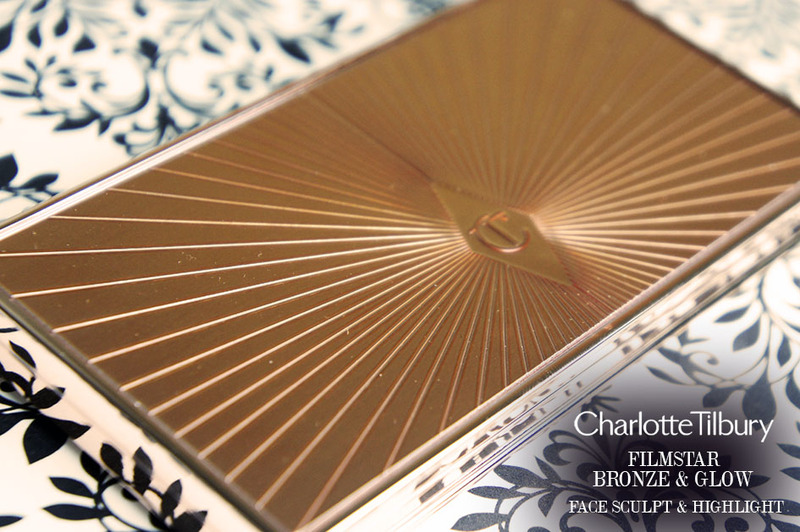 In the meantime, you can find out more or buy the Charlotte Tilbury Filmstar Bronze & Glow here. Have a lovely week guys, and thanks for reading! Tags: Bronze & Glow, Bronzer, Charlotte Tilbury, Contour and highlight, sunkissed skin. Bookmark the permalink.